The project involved the construction of a new steel structure facility to accommodate a warehouse, office to operate as the main distribution center for Dunkin’ Donuts in the northeast region. The reinforced concrete slabs at the warehouse were provided with a monolithic trap rock finish and FR FL flatness built to endure rigorous and constant use. The warehouse consisted of an ambient air dry storage area, a 34° F cooler, a -10° F freezer and a -20° F freezer; a total of 223,000 sf of supply storage. A vapor tight insulated metal panel system was constructed as the exterior wall of the warehouse. 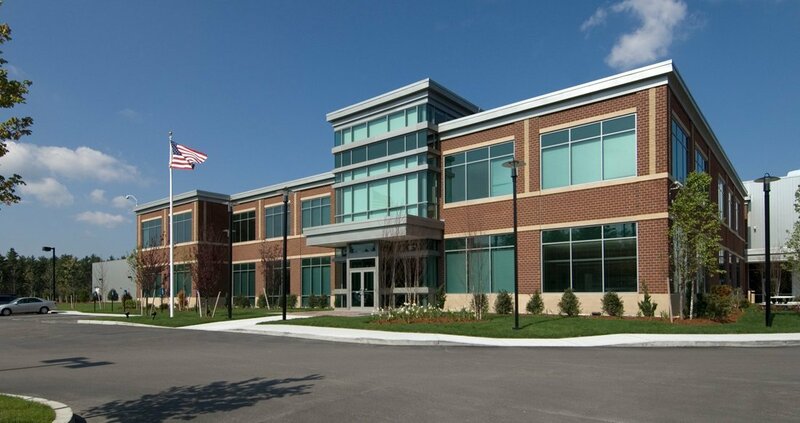 The high-end corporate office area was provided with 45,000 square feet of office space, a lab/kitchen for food testing, large conference centers and internet/networking hosting center. The office building exterior façade consisted of an architectural precast and brick cavity wall as well as an extensive aluminum storefront. Landscaping was completed over the 28 acre site which included an irrigation system fed by a well. The project was finished on schedule within 14 months.